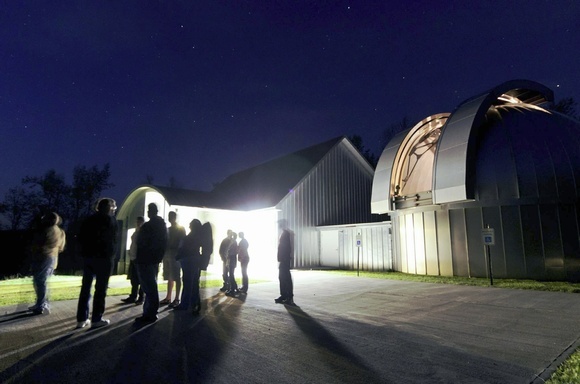 Join us for a night under the Moon and stars at Appalachian State University’s Dark Sky Observatory and Cline Visitor Center. The main target for our telescope is the first quarter Moon, which you can view and take pictures of through the telescopes, using your phone camera or other camera. If we are clouded out we will have a PowerPoint slide show, a facility tour, and other activities. There are two sessions to choose from, starting at 8:30 pm or starting at 10:30 pm.